The sport of swim running is one of the fastest growing extreme endurance sports in Europe. As its name suggests it is a combination of swimming and running but not in the traditional 'triathlon' format where you swim once, exit the water to a transition area and then start your one run of the event. In swim running you traverse a course which is normally along the coastline, lake or from island to island, in a continuous series of swims and runs. Swim running takes place in a natural environment, and is not done as 'circuits' or indoors. The number of swims and runs and the distances of the swimming and running legs depends on the geography of the course, but typically the full distances are grueling endurance events of up to 45km or more, sometimes as in the famous Otillo race, 75+km, with around 37-40km of running and 5-8km of swimming depending on the route. Each course is different though so don't be put off by the distances! Some are shorter, some consist of more running, some a higher proportion of swimming. Ultimately, you can choose the course that suits your interest and ability. There are also half distance and sprint distance events; or of course, non competitive swim running, which involves the same thing for as long as you want to go on for. 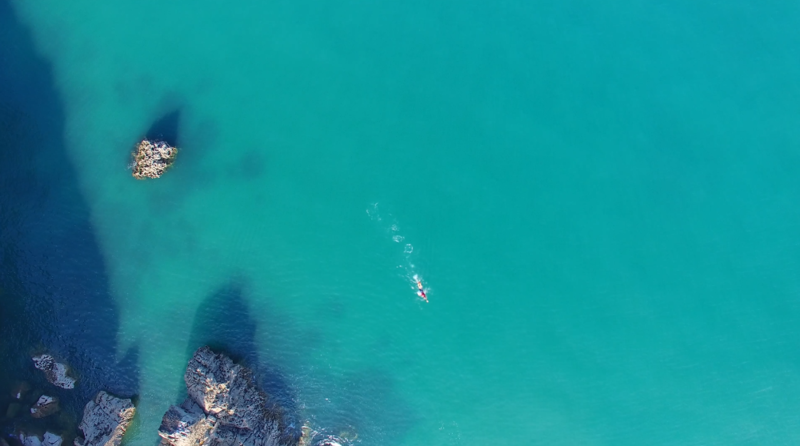 Pembrokeshire is a swim-runner's paradise! 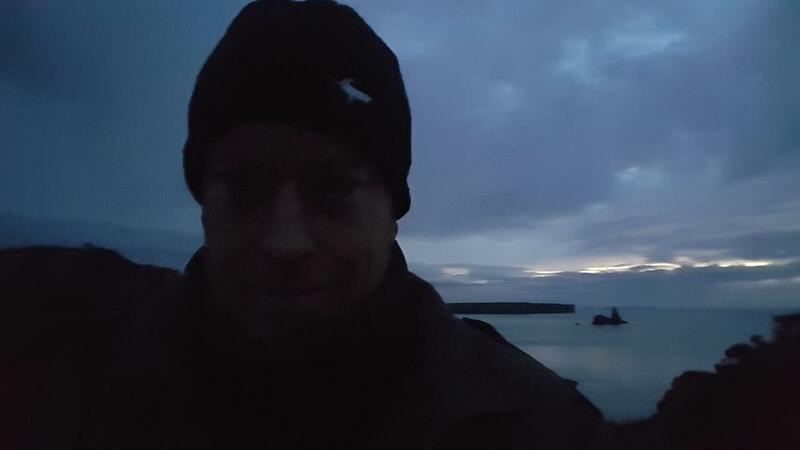 Check out our swimrun diary. 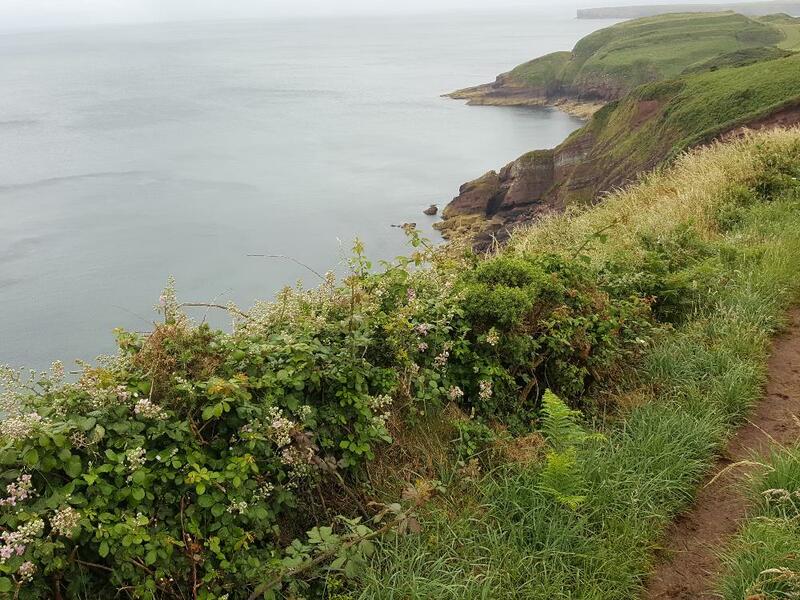 There are plenty of cliff top paths to run along in Pembrokeshire! The Pembrokeshire National Park is the country's only coastal park and boasts miles and miles of rugged coastal scenery and the famous Pembrokeshire coast path, which is part of the Wales coast path that runs 800+ miles around the coast of Wales. Well over a hundred miles of it is in Pembrokeshire! You carry your kit with you and you swim in your running gear. You must you carry any water you need, in a reusable flask, as well as extra kit that is allowed such as hand paddles and even short fins. Unlike a triathlon events in swim running you do the event with a partner so you can only go as fast as each other and indeed in many cases competitors tether themselves together. It's as close to nature as you can possibly be as you are either running along a cliff top, along a coast path, scrambling over rocks on the shoreline, or swimming in the open ocean. For this reason swim running is becoming more and more popular as an extreme sport that requires a high degree of physical and mental fitness to complete the long distances, as well as considerable nerve to tackle the technical transitions and open ocean swims. And of course: a love of the natural environment and being close to nature and experiencing the power of the open ocean. A typical short swim run route section can be seen to the left. Swim running involves numerous transitions between water and land. Transitions do not involve changing kit. There are no booths, kit racks, bags or any of the luxuries you see in triathlons or endurance events like Iron Man. Swim runners swim and run in the same kit; and repeat that over and over again! Contact us to give it a try! We have created a blog 'Swimrun Diary' where we have tried to capture all things you need to learn when starting in swimrunning: From kit to training tips, cool locations and different types of terrain, to the ample levels of pain we have been enduring! 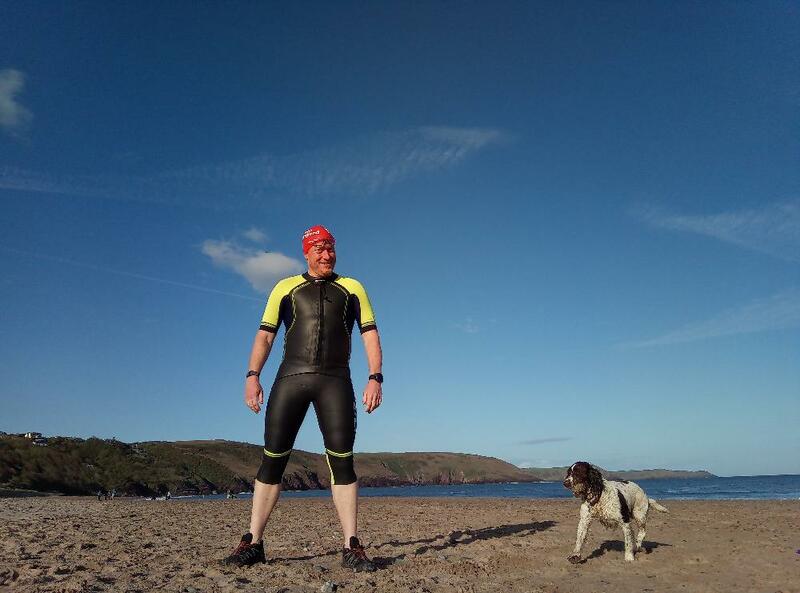 The sport of swim running is relatively new in Pembrokeshire but it growing rapidly here and elsewhere in the UK; and it is already very popular in Europe, with many international events organised in fantastic coastal locations in the likes of Spain, Sweden and Italy. 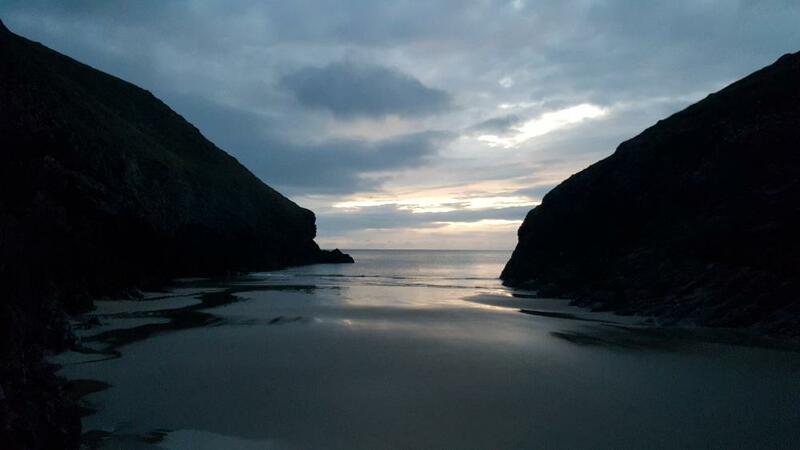 Pembrokeshire is the only coastal National Park in the UK and with its stunning and rugged coastline it is ideally suited for the sport. 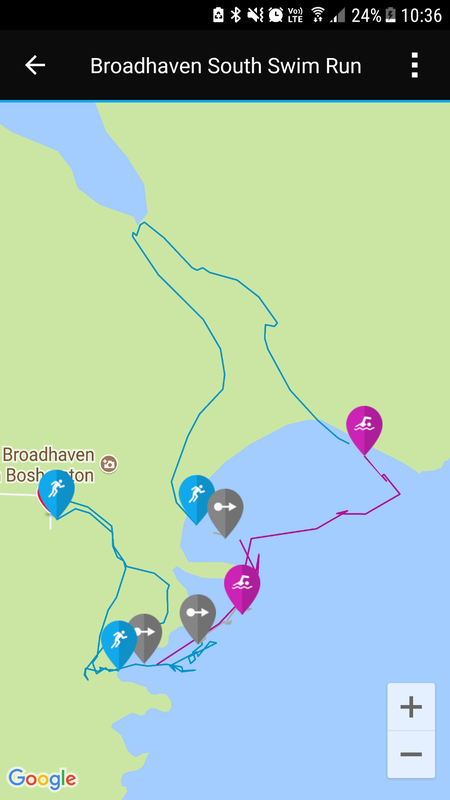 Swim Pembrokeshire have a number of swim run routes that can be broken down to small segments or strung together for endurance training. The course segments suit novice to advanced swim runners and cover a wide variety of terrain and ocean conditions. 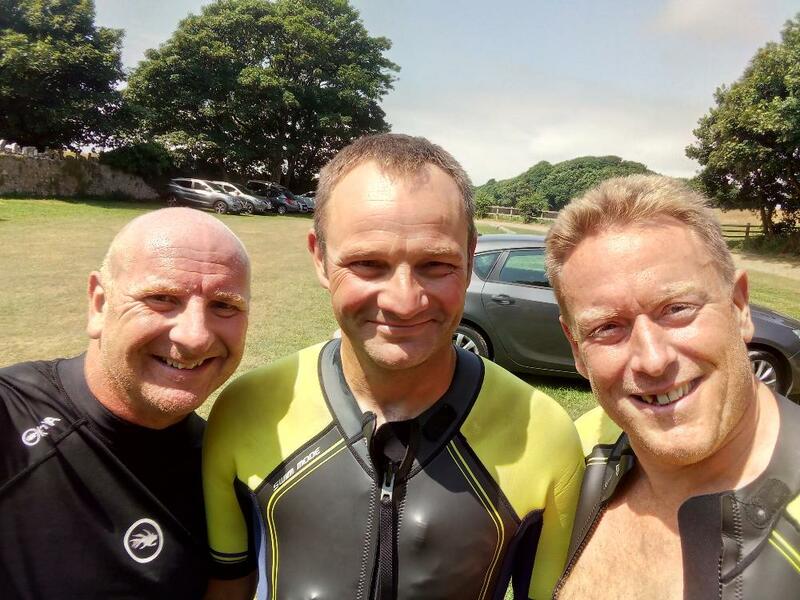 Click here to book a swimrun with us. Getting ready for an early morning swim run! Interested in Trying Swim Running?